Don’t you just love the smell of a new bag? The texture, the shape, the size – all of it play a huge part in determining what outfit should be matched with it, which finally results in brightening up our day. Bags play a crucial role in our lives, so a great one is always an asset. And, realising this is a new brand called New Leaf, created by Anjali Kanodia, that combines the classic with the modern, to give you a product that’s unconventional and fantastic. New Leaf creates all sorts of bags for women, catering to every need, should the occasion arise. From casual to party wear, a lazy brunch to a fancy dinner; there’s something for everyone. You can get slings, wallets, satchels, totes, backpacks, clutches, party slings and even travel accessories. All their bags are PeTA approved and are vegan. Using traditional designs and methods with modern silhouettes and colours, each bag is stitched and given an embossed effect of carving by quilting intricate designs; making it minimal and unconventional in design. 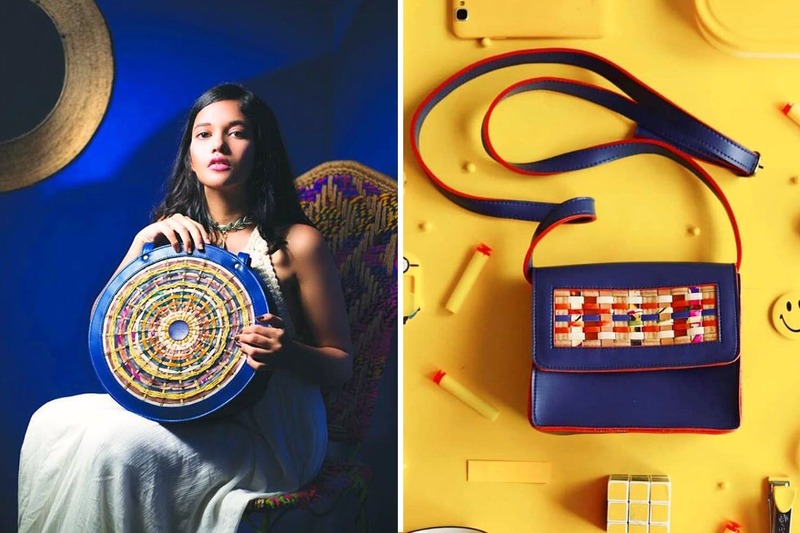 They currently have four collections – Twist & Entwine, The Colour Phool Collection (hand painted bags), Tiny Puppets (handcrafted bags for kids) and Stitched Carvings. The three-year-old brand has unique shapes and designs like the square box or the circular box, that are currently in vogue. If you’re a fan of the extraordinary and love to build your collection, check out the brand here. The price depends on each piece and the collection that’s available, ranging from INR 650 to INR 2,799. Needless to say, it is affordable, quirky and flaunt-worthy fashion. Grab yours soon!